Knowing when your elderly parents should stop driving is vital for their safety and for other people’s safety as well. 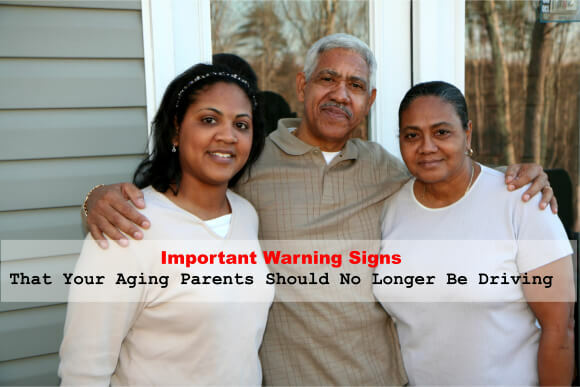 That is why at OptimumCare Home Care Services, we have listed down several warning signs that you should watch out for when deciding whether or not it’s time to have the talk with your parents. Impairment of vision.For majority of adults, their vision deteriorates as they age. Problems with vision like losing their peripheral vision, can cause serious risksfor aging adults who still drive. This is because loss of peripheral vision makes it difficult to interpret the full visual field needed when driving. Moreover, trouble seeing in the dark; sensitivity to light; and blurred vision are also major safety concerns as well. Hearing problems.While it is still plausible to drive with a hearing problem, you should know that auditory cues are very important for safe driving. So, if your aging parent is experiencing significant or sudden hearing loss, it might be time to talk with them regarding their driving. Drinking multiple medication.Is your elderly loved one taking multiple medications? If they are, you have to keep in mind that combining multiple medications might cause some side effects. So, unless you know what specific side effects your elderly parents might experience, it is definitely a good idea to prevent them from driving in the meantime. Slow reflexes.Are your parents starting to react slowly to certain circumstances? If you notice that their reflexes are slowing down, it is definitely a good idea to talk to them about driving. After all, drivers must be able to adapt readily to unexpected situations or sudden changes. They must also be able to react quickly and for that, having fast reflexes is definitely a must. Making sure that your loved ones remain safe is our priority at OptimumCare Home Care Services. With our transportation assistance and other services, we have definitely become a trusted non-medical home care in Opitz Boulevard Woodbridge VA.
To enjoy our services, call us at 703-490-8003. After all, this is just a short list that we have compiled, so allow us to speak with you and provide you with more information today!